Anna grew up in Atlanta, Georgia. She attended the University of Georgia for her undergraduate coursework. There, she completed a Bachelor’s degree in psychology, extensive coursework in Biology, and a Minor in Spanish. 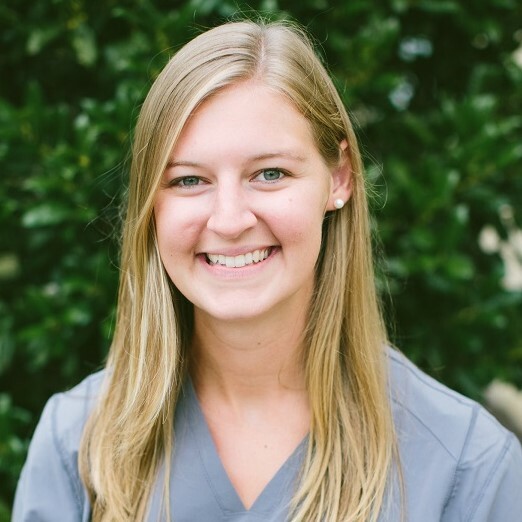 Anna moved to Charleston in May of 2014 where she attended the Medical University of South Carolina, receiving a Master’s degree in Occupational Therapy. While at MUSC, Anna volunteered in the student-run clinic where she provided occupational therapy services for individuals in English and in Spanish. She completed her 3-month pediatric fieldwork with Tri-County Therapy, before graduating from graduate school and returning to work full-time. She enjoys working with children of all ages and diagnoses, and has a continuing interest in sensory integrative work including feeding, handwriting, and modulation. Anna has participated in Krisi Brackett’s CAN EAT course, which provides a medical, motor, behavioral approach to treating feeding disorders. Anna looks forward to collaborating with families and teachers in order to provide best possible care for their children in English and in Spanish. In her spare time, Anna enjoys going to the beach, running, cooking, and spending time with her friends and family.